Wondering What to do for Christmas 2011 ? Are you looking for something a little different to do for Christmas 2011 this year? You will find no shortage of kids fun stuff do at Christmas in Cumbria - Nearby Sizergh Castle has outdoor Ice Skating until 24th December or for the more adventurous why not book a cottage near Grizedale or Whinlatter Forest and let the kids burn off their Christmas goodies with a round at Go-Ape? The English Lake District surely has to be one of the most Romantic Christmas Places to go? 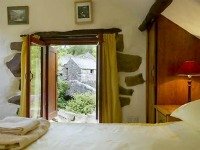 Our website covers the whole of Cumbria so you will often find romantic cottages in the quieter corners of this beautiful county as the well known tourist 'hot spots'. We also have snug cottages that are just for two - which is a refreshing change as its great not to be paying for extra bedrooms that you don't need. 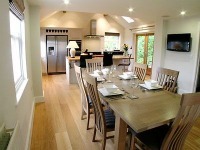 Have a look at one of our favourite cottages Whilan Beck which still has availability. These properties at Greythwaite (scroll to bottom of the linked page) are pet friendly and share a heated indoor swimming pool, gym and have free fishing - how does that sound for a bonus Christmas? They are set in 4 acres of private woodland and many of them also have a wood burning stove - which your dog will love to curl up in front of after a long walk, I'm sure! Don't be fooled into thinking that Cumbrian cottages are second hand sofa's and uncomfortable beds. 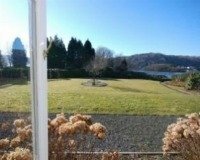 The standard is high - how about this splendid cottage close to Ullswater - fabulously finished with a kitchen that will certainly have you cooking your Christmas turkey in style?